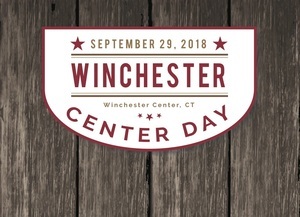 Take a trip to the heart of historic Litchfield County, Connecticut and experience the sights and sounds Winchester Center Day on Saturday, September 29, from 10 a.m. to 2 p.m.
Winchester Center is a quaint New England community, complete with tree-lined roads and a town green surrounded by the Congregational Church, Grange Hall and historic homes. The numerous organizations of Winchester Center have each planned events as part of this special community day. The Winchester Center Congregational Church, established in 1771, will host a Vintage Car and Motorcycle Show with trophies and musical entertainment in the Gazebo on the Green by Kevin and Pete, as well as an open house with a Community Quilting Bee, children's activities including a fun community scavenger hunt, and more. Winchester Grange will host a large tag sale inside the lower Grange Hall with the proceeds to benefit FISH/Friends in Service to Humanity of Northwestern Connecticut and Winchester Grange. An Art Show will be on display in the upper Grange Hall. Winchester Grange will also be serving their popular Apple Crisp dessert, and luncheon fare will be available from Café 74. The Winchester Center Historical Association will have their museum open throughout the day, giving tours of the Old Chapel with many items on display, and will also be presenting a reenactment of a Revolutionary camp of a British soldier by Michael Miller. While visiting the museum, be sure to note the old chimney which marks the home of the first settler of Winchester Center, Caleb Beach, in 1750. The Winchester Center Volunteer Fire Department, organized in 1948 and located behind the Grange Hall, will be participating in the festivities by having its firetrucks on display as well as a presentation of safety information, climb aboard the trucks for children, and demonstrations. The small village of Winchester Center lies about 4 miles southwest of Winsted, or approximately 6 miles northeast of Torrington, at the intersection of Route 263 and Newfield Road.